Kevin Gallagher, the executive director of Cannabis Business Alliance (CBA) and director of compliance and government affairs for Craft Concentrates, took a moment to chat with us about water reuse in the Colorado marijuana industry and how legislation and regulatory changes could have affected the industry. 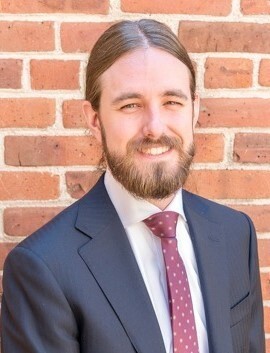 Kevin Gallagher, the executive director of Cannabis Business Alliance (CBA) and director of compliance and government affairs for Craft Concentrates. What is your role in the marijuana industry? Currently, I’m the executive director for the Cannabis Business Alliance, otherwise known as the CBA. Our membership is made up of licensed cultivators, manufacturers, dispensaries, certified laboratories and ancillary businesses. We do quite a bit of lobbying and educational efforts on the City of Denver level as well as within the capitol here in Colorado. Essentially, we just lobby toward basic business efficiencies but also legislation that benefits consumers such as transparency and testing. One of our main goals is to continue the market shift from the black market to the regulated market where consumers have access to tested, consistent and safe products. I also work full time for Craft Concentrates. I’m the director of compliance and government affairs, and we are one of the largest manufacturing licensees in the State of Colorado. Craft has a medical cultivation [facility] here in Denver, and a retail and medical manufacturing facility down in Pueblo West. What are some of the concerns that arise when using recycled water for marijuana cultivation? Originally, the industry really did appreciate having the option of being available to utilize reclaimed water. However … it was apparent that we had to protect public health and product integrity, due to the fear of cultivators possibly being forced to only utilize reclaimed water, so we had to join efforts in defeating the [House Bill 1053] legislation. 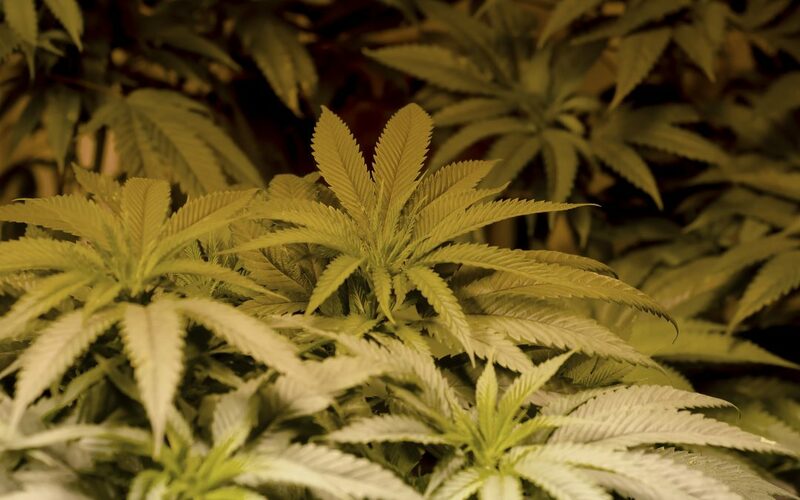 Could using recycled water for marijuana growth potentially affect product yields? So, our testing regulations for cannabis are much more intense than the testing regulations for agricultural commodities. So for example, the product that you purchase at your local dispensary here in Colorado is actually going to be significantly cleaner than the bag of tomatoes that you are purchasing at your local King Soopers. And that’s because our pesticide detection limits are some of the lowest in the country. So for example, on cannabis, our minimum detection limits are in the low parts per billion depending on the pesticide versus other agricultural commodities which have much higher allowable pesticide limits. Additionally, you have these other entities that are currently utilizing reclaimed water, but since they don’t have to abide by nearly as stringent testing regulations as the cannabis industry, we really can’t take the risk of reclaimed water being contaminated by the pesticides, heavy metals, or different microbial contaminations from other industries that are allowed to use pesticides and other chemical compounds that the cannabis industry isn’t allowed to use. We simply can’t risk our growing plants intaking contaminated reclaimed water. And once we harvest it, we can’t have product fail. It’s not fair to our consumers. It’s a big public safety and worker protection concern. What could the potential costs of adopting water reuse in the marijuana industry mean to cultivators? We noticed, that the reclaimed water itself is extremely inconsistent. And so, if you get a sample of reclaimed water right now and then get a sample of reclaimed water an hour later from the same water line, you’re going to see a different analysis. You’re going to see different levels of heavy metals and other compounds. Growing cannabis is not like growing tomatoes, it requires a lot of care, and it requires very specific levels of heavy metals and other ingredients within water. So, if cultivators were required to use reclaimed water, [they] would have to make a very heavy investment to purchase an intense filtration system that would have to regulate the water every second. That’s huge. Cultivators simply can’t afford that. And again, going back to the testing levels, we have some of the most stringent testing in the entire country and we cannot risk our products failing because of the inconsistencies of reclaimed water. Is the concept of reuse considered, “too soon, but maybe in the future” given all the other obstacles the industry currently faces? Yeah, at the end of the day we welcome the option to utilize reclaimed water, and we definitely appreciate the City of Denver and other entities wanting to conserve resources, especially resources as precious as water. However, there just hasn’t been any legitimate scientific studies done on the impact of reclaimed water during cannabis cultivation. So until then, we’re going to hold on to our same concerns. There’s no way that we can afford to utilize reclaimed water without the proper data. Have any users expressed concerns about marijuana potentially being harvested with reused water? I think the proposed changes to Regulation 84 and House Bill 1053 from last session went below most people’s radar within the public. I personally haven’t heard any concern from patients or consumers within the public, that’s not to say that there were some folks that expressed concerns, but I just personally haven’t heard any. And I think if this was more on the public’s radar, then you would probably experience a larger outcry. Is water reuse within the marijuana industry a possibility? Yes, and I think every single cultivator would love to see some viable options to conserve resources. But until legitimate studies are completed and we know that our product can pass our stringent testing regulations, we can’t pull the trigger on such practices. Could we anticipate future collaboration if the Colorado Department of Public Health and Environment did run that testing? Absolutely, I can only speak for the Cannabis Business Alliance, and we are always open for collaboration and discussion with anyone out there that is trying to make policy impact on the cannabis industry, especially involving conservation efforts. If we see some good testing and competent scientific studies then we would absolutely love to continue these conversations.